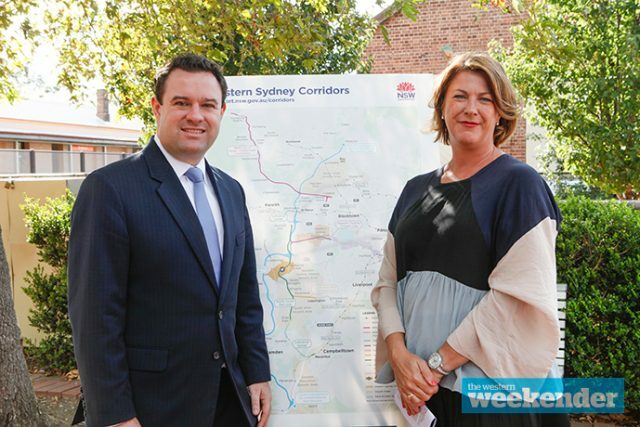 In a bid to avoid land acquisition where possible, the St Marys rail connection to Western Sydney Airport is expected to run underneath some suburbs including Caddens and Claremont Meadows, revealed through the draft corridors released this week. 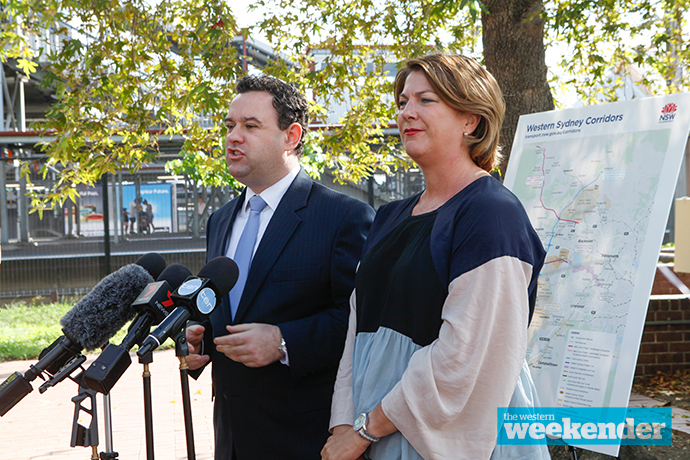 Member for Penrith and Minister for Western Sydney Stuart Ayres was joined by Minister for Roads Melinda Pavey at St Marys on Monday to invite the community to have a say on the proposed alignments of 192km of corridors across four major road and rail infrastructure developments in the Western Sydney Parkland City. “We know as the population grows we will need both road and rail to allow people to move around this incredibly important part of Sydney,” Mr Ayres said. Over the next eight weeks, there will be town hall meetings and active consultation with the community including door knocking surrounding the north-south rail corridor, the Outer Sydney Orbital road and freight corridor, a western Sydney freight connection and a new road connection from the M7 to Bells Line of Road, which would go through Llandilo and Castlereagh. “We want to engage with the community, we want to have respectful conversations to make sure that we plan western Sydney’s growth properly,” Mr Ayres said. The announcement would bring a sigh of relief for many local residents who were anxiously waiting for more information on the rail corridor, fearing their homes would become acquired. The rail link, at this stage, will include a tunnel section between St Marys and south of the M4 motorway at Orchard Hills to avoid existing houses, businesses, community facilities and preserve bushland. “By going into a tunnel arrangement between Orchard Hills and St Marys we’re minimising surface acquisitions, particularly around areas such as Caddens, a new suburb, Claremont Meadows, a relatively new suburb, and massive amounts of acquisitions in St Marys,” Mr Ayres said. There is no intention to immediately acquire land or property. Community feedback is open until May 18. See www.transport.nsw.gov.au/corridors for more information and an interactive map.